Show your message to thousands of customers with exciting fleet graphics from Friendly Signs Inc. Introduce your business to everyone on the road! Cover your car, truck, or company fleet with colorful, inventive graphics! Cars, Trucks, Trailers, ATV, Motorcycle and Much More! Make a stunning, colorful impact that gets noticed! Create a traveling brochure out of every vehicle in your company! Make an impact with every outing! Insist on colorful fleet graphics designed to work with any make and model of car, truck, van, trailer, or delivery truck. "Have We Done Your Sign Yet?" 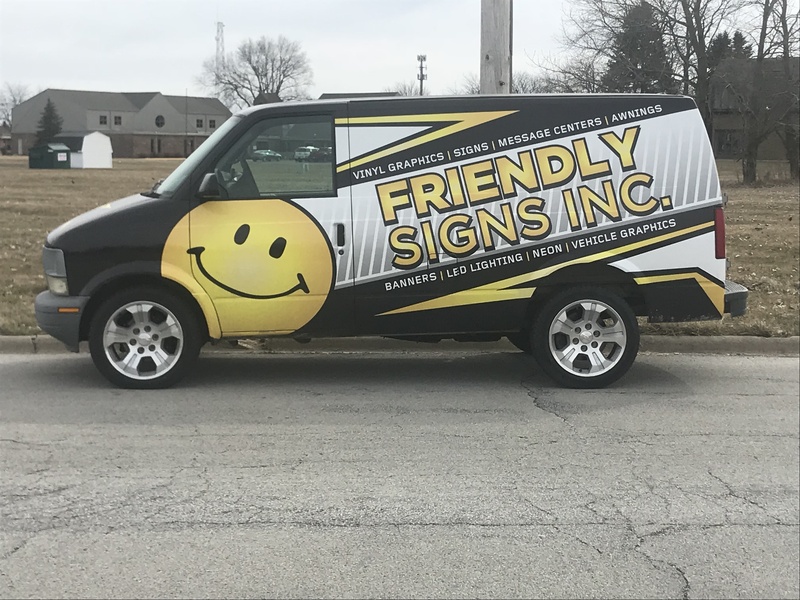 When you need an attention-grabbing sign, contact the professionals at Friendly Signs Inc. Our locally owned and operated business is well known in the area, and we have 28 years of experience. You never get a second chance at a great first impression! Copyright © 2019 Friendly Signs inc.